Just a quick post to let you know I’m having a book giveaway contest over at my TWITTER ACCOUNT. To enter to win a signed copy of PRIDE MUST BE A PLACE, all you have to do is RETWEET my PINNED TWEET and FOLLOW ME if you’re not already doing so. You have until April 20th, 2018 to enter! Copies of PRIDE MUST BE A PLACE, my 6th novel! 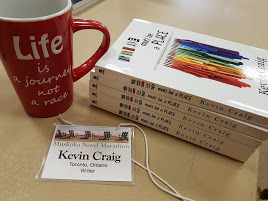 Also, while I have you, I will be at the APRIL WCDR NETWORKING MEETING in Whitby, Ontario, and I will have copies of PRIDE MUST BE A PLACE for purchase. Saturday, April 21st – Monthly Network Meeting with Megan Beadle on Agents – Find One. Sign One. Scholarship winners will also be announced. Registration is not yet open, but if you keep checking back on the WCDR website…it should be opening soon. If you’re in the GTA, you should come check it out. April sounds like a pretty good meeting to try out the organization. Hope to see you there! Don’t forget to head over to Twitter to enter the giveaway! It’s that time of the year again! Another Festival of Authors is upon us! Come to Pickering, Ontario on the evening of Friday April 6th for the Ontario Writers’ Conference FESTIVAL OF AUTHORS at CREATIVE MATH & MUSIC (1064 Salk Rd., Units 5-7 Pickering, ON, L1W 4B5)! Just a hop, skip, and a jump east of Toronto and well worth the trip. From the 2017 OWC Festival of Authors – emcee TED BARRIS. Ted will be returning to emcee the 2018 Festival. 7:00pm – 10:00pm FRIDAY APRIL 6th! From the 2017 Festival, Ted Barris interviews Ann J K Choi, author of the incredible Kay’s Lucky Coin Variety. Enjoying some Wayson time at the 2017 Festival. Wayson will be returning for the 2018 Festival. Make sure to say hello to the OWC’s longstanding patron when you’re there! You can go directly to the ONTARIO WRITERS’ CONFERENCE FESTIVAL OF AUTHORS WEBSITE to read AUTHOR BIOS and learn all the details! ALSO, tickets are $20 each and are available for purchase at the website or at the door on the evening of the event. Me, with Wayson Choy and Ann Y K Choi, at the 2017 Festival of Authors. 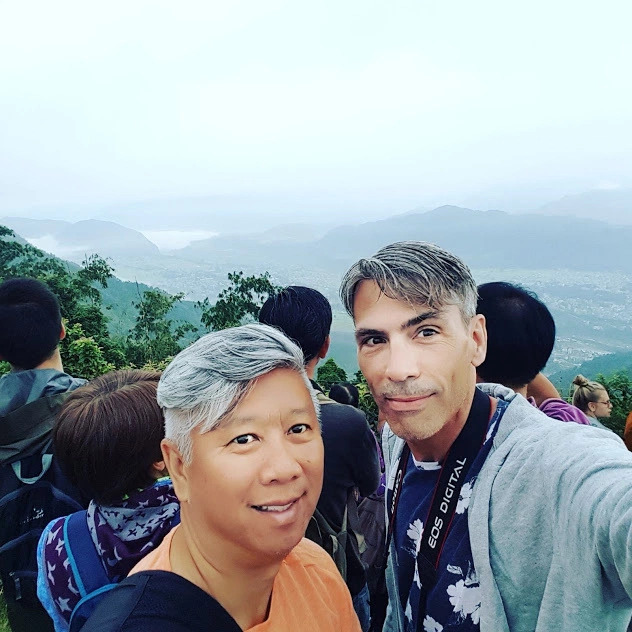 Wayson Choy and Ann Y K Choi – Ann meets a hero. It was such a lovely moment seeing this introduction. Festival of Authors 2017. Don’t miss out on the 2018 event! It promises to be incredible. Come to Pickering on the 6th of April for your yearly dose of CAN LIT done right!